Most people nowadays like to see BIG hook, but is it ideal to have the ball hooking so much? What is the affect of high entry angles? I won’t go into the virtues of “straighter is greater” in this article but wanted to specifically touch on entry angle. There has been a theoretical assumption out there for some time that 6 degrees is the ideal entry angle. I will not go into scientific depth or calculations here, but will argue that 6 degrees is quite steep and may not be the ideal entry angle after all, especially for a typical house shot. For best carry, entry angle can not be viewed alone. You need to also consider the board the ball entering the pocket, i.e., the entry board. There is conflicting research out there on this. For a long time, it was thought that 17.5 board entry is the ideal for carry. Later research found it to be closer to 16 or 16.5. This could spur some argument, but I will give you my own observations using Ebonite Digitrax. I think 6 degrees of entry angle at the 17.5 board is simply way too much entry angle or way too much of the head pin to carry consistently. I believe this is why so many times we see 8 or 9 pin leaves these days. At that kind of entry angle, many times the ball just continues past the ideal strike position throughout the pin deck. For a righty, this causes the ball to continue to drive with little deflection past the 9 pin. High entry angles can also cause lots of ringing corner pins. That’s where the 6 wraps around the belly of the 10 violently without knocking it down. That is when the ball is coming behind the head pin, in other words, the board of entry is slightly light and the ball is entering the pocket at a high entry angle. Another thing I’ve found is that many times with that steep of an entry angle, another culprit that reduces carry is the phase of the ball when it hits the pocket. I think guys who can generate high entry angles sometimes do not allow the ball to transition through it’s phases properly before it hits the pin deck. Specifically, the ball goes from slide to hook phase, but then never transitions to roll phase quick enough before it hits the head pin. For the best energy transfer, a ball needs to be rolling into the pocket, not hooking into it. When a ball hits the head pin still hooking, it completely alters the concept of proper entry angle. What is the ideal entry angle anyway? Well, I won’t tell you 5.59 or something like that. There is pretty clear evidence that some entry, generally 4 and above is needed to get the best carry. I will not dispute this. I just dispute the blind targeting of 6 degrees. I think between 4 and 6 will be ideal for a given night, on a given condition. OK that might sound flaky not to give you a specific answer, but I really don’t think there is a blatantly specific answer as others have suggested. I would basically suggest that over 4 is needed for any chance of scoring above par. 6 degrees is pushing the upper limit. I would suggest that between 4.5 and 5.5 is ideal. So if I had to pick the one ideal angle, it would be 5. For example, I am a tweener. I can personally generate quite high entry angles with slower speeds, up to 7.4 according to Digitrax. I am able to generate entry angles of 6 degrees regularly but don’t find that’s where my ideal carry is. Statistically speaking, the closer to 5 degrees I am, the higher my carry percentage is. My carry is quite good with the Storm Natural for example, but my entry angle is always between 4 and 5 degrees, averaging 4.7 to be exact. Urethanes will generally not produce as high entry angles because they go into the hook phase very early on the lanes. They don’t wait for dry boards to transition from slide to hook. The other thing about urethane is that because it hooks so early, it’s almost always guaranteed to be rolling by the time it hits the head pin. This guarantees good energy transfer. With 4 to 5 degree entry angles, you generally only worry about corner pins or a 4 pin if it’s a little high. What I find is that when you are at 6 degrees or higher, any back row pin is a risk to leave, as well as the occasional big split. However, I find this occasion happens more often for the big hook, as I’m sure most of you can attest. OK, so what do we do?? One way to combat these higher entry angles: bowlers who generate these higher revs and higher speeds may need to look into a stronger ball as an option. Why? Because they will need a ball to burn up more energy in the midlane, allowing it to properly transition to roll before it hits the pocket. Burning up a little earlier tends to reduce the entry angle. So let me tie this whole concept to my own experience this year. I have been struggling with carry much of the year, averaging just under 220. To be fair, like most of us, I get a lot of help from the house shot to get balls into the pocket. I’m getting entry angles in the 6s all the time, but my roll causes a quick transition from skid, hook, roll. However, that late transition had the ball still hooking just in front of the head pin. I have been leaving ringers galore. So what do I do? Well, I decided I needed to cut down my entry angle. How do I do that? Play more in the oil! With my hand, using the second breakzone (5-9 board at the breakpoint), the ball just breaks too hard. Remember that the breakpoint is somewhere close to 40 feet down lane. This zone on a house shot is relatively dry to feed lower rev releases to the pocket. This is where most house bowlers carry from. To cut down entry angle, I moved into the third breakzone (10-14 board). So I got deeper with my feet and moved my target at the breakpoint closer to the headpin and kept the speed down. Imagine a hockey stick shape for the ball motion to the pocket. If the shaft is parallel to the gutter, than the blade has a sharp angle to the pocket. However, if you angle the shaft in relation to the gutter, the blade will lose some angle to the pocket. This is one way to cut down entry angle, getting deeper on the lane. That’s why you see some Tweeners and Crankers get deeper than Strokers. However, on a house shot, when the breakpoint is progressively drier towards the gutter, reactive balls react very aggressively to the dry and thus can still generate very high entry angles back to the pocket. The risk now is leaving flat corners because despite having a high entry angle, the ball has completely rolled out using much of it’s energy to “make the turn”. This is where I believe it is important for bowlers who have higher than average rev rate consider using a breakpoint further into the oil. This will allow the ball to retain some energy because it is not hitting a wall of friction. It will also cut the entry angle down, which I believe will help carry. I can play 12-14 at the arrows to 5 at the breakpoint and get the ball to the pocket. This can generate entry angles from 6 to 7. Increasing speed can cut the entry angle down. I can adjust to play 15 to 10 and get the ball to the pocket. I cover less overall boards because I am playing in the oil. The ball needs to cover less boards back to the pocket and also will generate entry angles more consistently between 4.5 and 5.5. For guys with more hand, I think this is an ideal area to play a house shot. Don’t be afraid to get into the 10-12 area at the breakpoint. This will cut down on entry angle and increase the room you have to play the condition. For Strokers, playing a more direct line from the outside works very well because they will naturally generate less entry angle. I ran Digitrax on one of my teammates who is a high average stroker. With him playing the Motiv GT1 and Storm Furious, and me using my Storm Natural. Our lines to the pocket were identical. They were completely indistinguishable on the Digitrax tracking, with us generating the same overall shape for ball trajectory and the same exact entry angles. So there you have it, I think the ideal entry angle is closer to 5 degrees than 6 degrees. Consider using a breakpoint further in if you’ve got some hand and you might be surprised to find more room and carry. OK, let the comments fly. Good shooting Greg! The TR2 is an aggressive ball so it makes sense that you had to move in. As long as it generated enough entry angle, and it obviously did, it will carry. I tried to get across that you don’t need 6 degrees to carry. I imagine from deep you were probably getting closer to 4 degrees. Your example I believe helps my argument. There is another saying out there: throw the strongest ball you can throw. In other words, if you can, use the strongest ball. It will help with carry. You will find bowlers being able to throw very aggressive equipment on lighter conditions. It may be due to lower revs, higher speed, a release that induces more slide, getting deeper into the oil, or a combination of these. But those bowlers will tend to carry if they can get a consistent read. 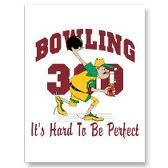 Good Luck and let us know how you are bowling! Im not understanding what you mean by 6 degrees of entry angle….how do you determine what degree you fall under?i leave quite a few 8s and 9s but very few wrap 10s…. Hi. It’s the angle the ball enters the 1-3 pocket, if you are righty. It’s not something you can “eye” but rather is something measured with CATS or a computer-aided tracking system. When you leave many 8 and 9 pins, that likely means you have a ball that is not deflecting when it enters the pocket. That happens when you have pretty steep entry angles, meaning you are likely throwing 6 degrees or higher. If you take a look at some of the videos and compare them to the Digitrax Analysis on my site, you will get a sense for the different entry angles. For example, check out the review of the Motiv Cruel. This ball gave me around 5 degree or less entry angle. At those angles, you will rarely see 8s or 9s. Then watch the Brunswick C-System Alpha-Max with much higher entry angle. The difference will be obvious as soon as you watch. Thanks for your question. You gave some telling information. Standing on 23 (or let’s even say 21 which is the edge of your slide foot), and hitting 9 to 8 tells me you might have 2 things going one. One, you are drifting towards your target. Two, you are coming around the ball early which causes you to not release it very close to your ankle/tight to your body you. I can’t tell exactly what’s happening without seeing video, but saying that you are uncomfortable moving in tells me you are likely doing both. You probably need some work on some fundamentals related to timing. If you are committed to bettering your game, I would suggest to look into a coaching session. Since you are reading this, I assume you have some interest to pursue this. Let me know where you are located and I can recommend a coach. You can also reach out to me via CoachT@TamerBowling.com. Good Luck!